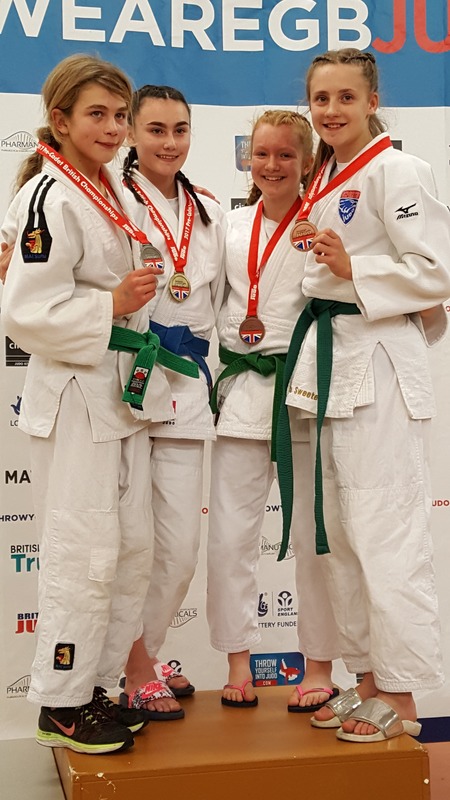 Ellie Hutton aged 13 from Wallsend entered the Pre-Cadet Girls under 48kg category and was up against a tough group of 12 seasoned competitors in the final and most prestigious event of the year. 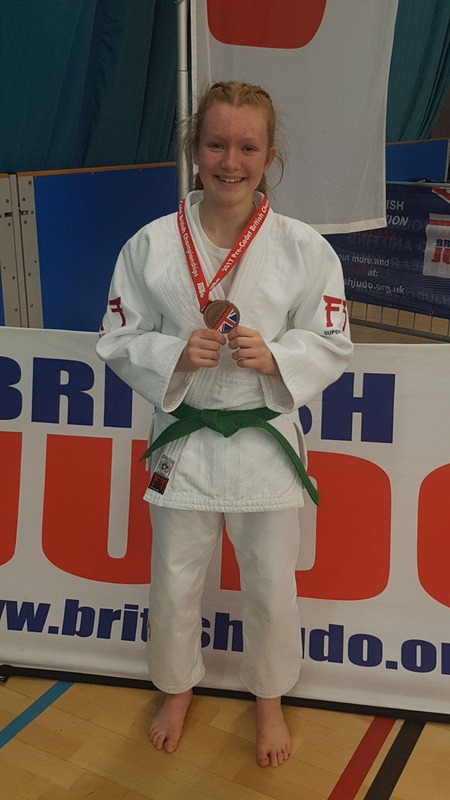 Earlier this year Ellie became the National champion at the smaller British Judo Council event, and was hoping for a repeat performance at this, the main British National competition. and lost which meant the double national champion was out of her grasp this year. Now began the difficult task to fight through the repechage to secure a national medal. Her first repechage contest was hard fought with Ellie throwing her opponent from Newbury with Ippon Seoi Nage (one arm shoulder throw) and transitioning into Ne waza (holding techniques) to secure the win. The next contest was over in under 30 seconds with Ellie quickly throwing her opponent from Edinburgh with O-goshi (major hip throw) and again finishing with excellent groundwork, securing a place in the repechage final. 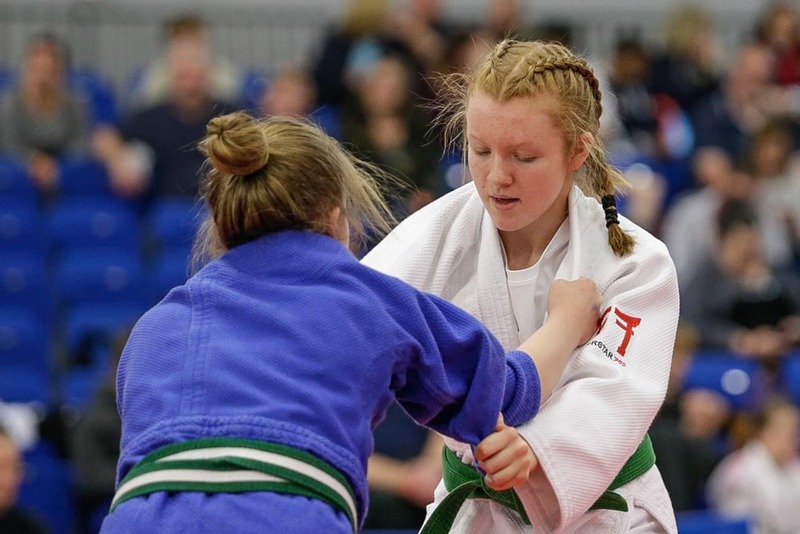 Ellie put everything into her final contest and defeated her opponent from Yorkshire with a superb Harai goshi (sweeping loin) technique to secure a British National Bronze medal.